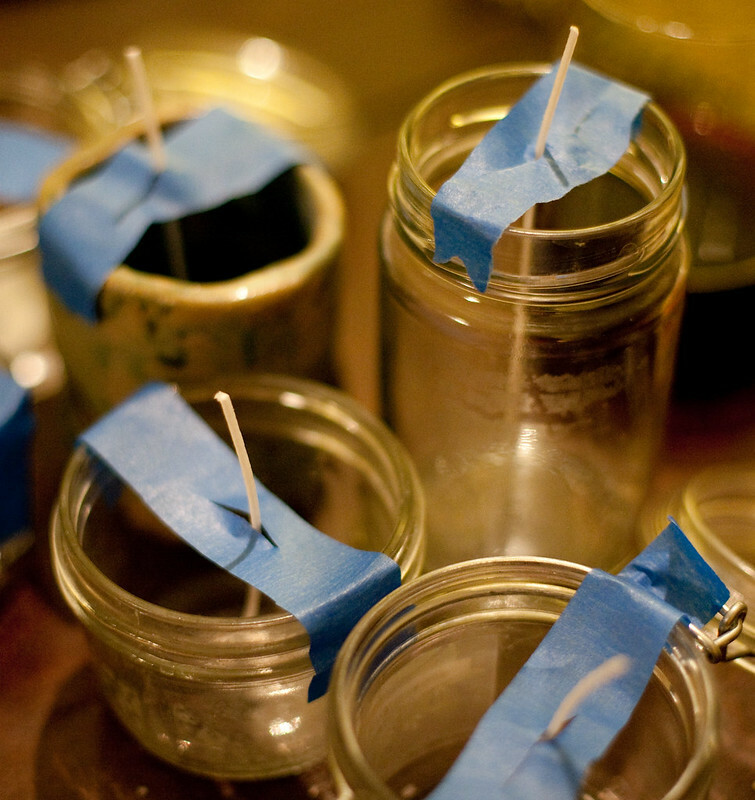 I got together last week with a few friends for a festive and hands-on holiday activity – making candles. This was a perfect group craft project for the holidays. We had a lot of fun learning the process together and enjoying an evening of casual crafting. Everyone brought various heat-resistant containers from home. I opted for old jelly jars and reused mason jars. Some people used handmade pottery. 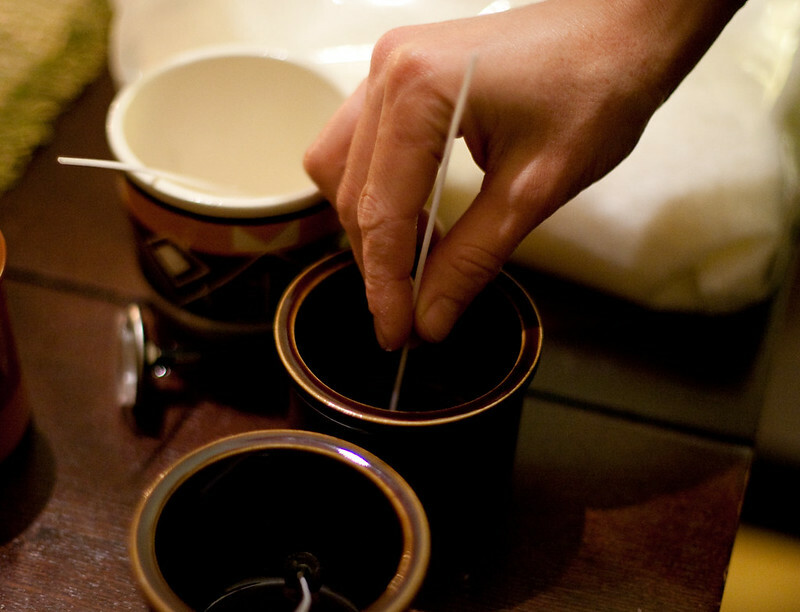 We had sent around a list of supplies that we could gather from our homes, and one of the participants, Shelu, purchased a 10 pound bag of soy wax online and cotton wicks in bulk. Making the candles was both fun and easy. We consulted these instructions every step of the way, but it really was not that complicated. We started off by gluing the wicks to the bottom of each container with a hot glue gun. Then we added tape as an extra precaution to keep the wick in place. 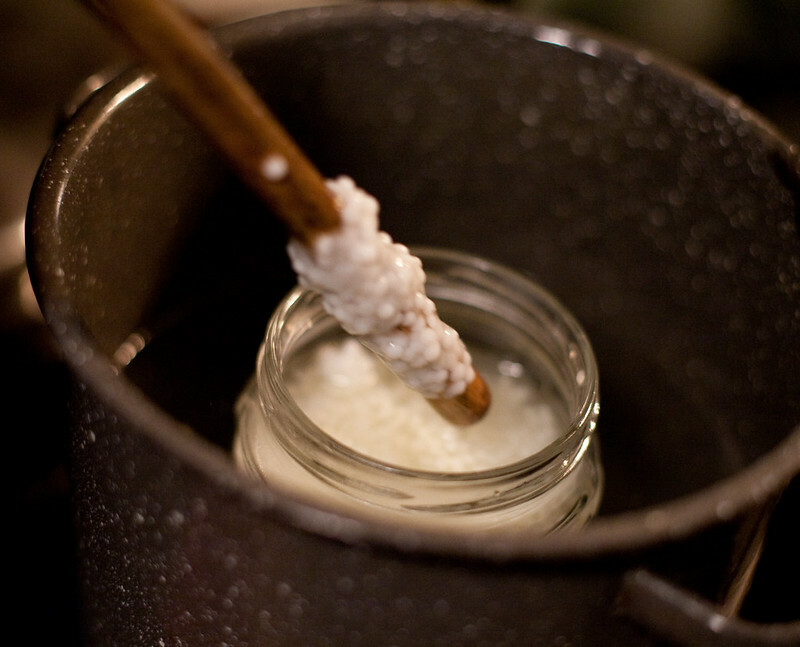 When all the containers were prepped, we started melting the wax in the double boiler we concocted. We used a glass jar inside a bigger pot that we had filled with water. I wouldn’t improvise like this for something like chocolate, but for the purpose of melting the wax evenly, it worked fine. We mixed the wax with a wooden spoon while waiting for it to melt. Once the wax melted ,we took the temperature. 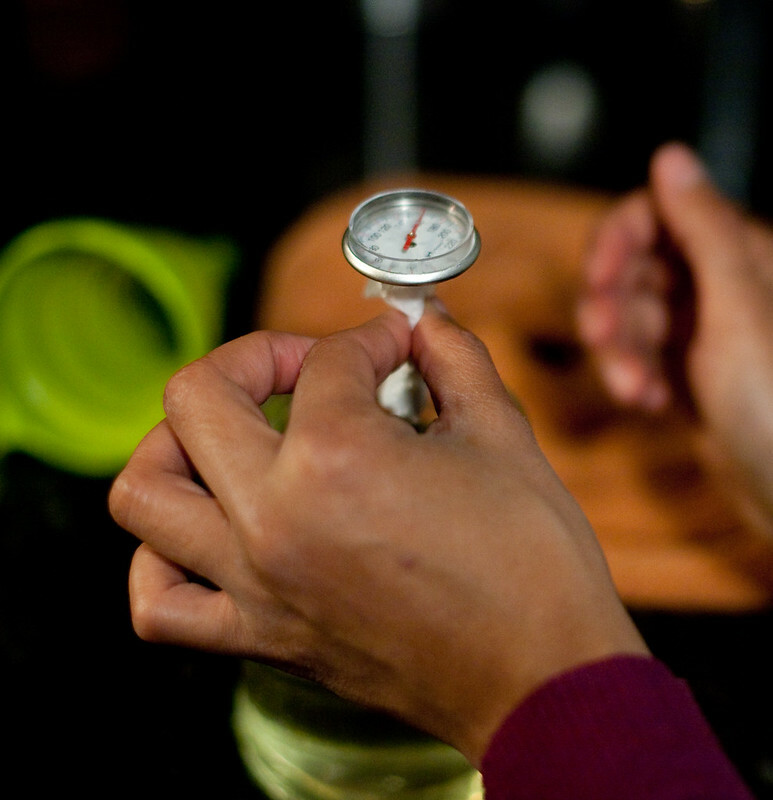 We were careful to check the temperature of the wax, because it needs to be at 140 degrees Fahrenheit in order to add essential oils. If the wax is hotter than 140 degrees, the smell won’t be strong enough. We used 15 to 20 drops of oils per batch. Some people got creative by mixing different scents; for example, lavender with cedar. 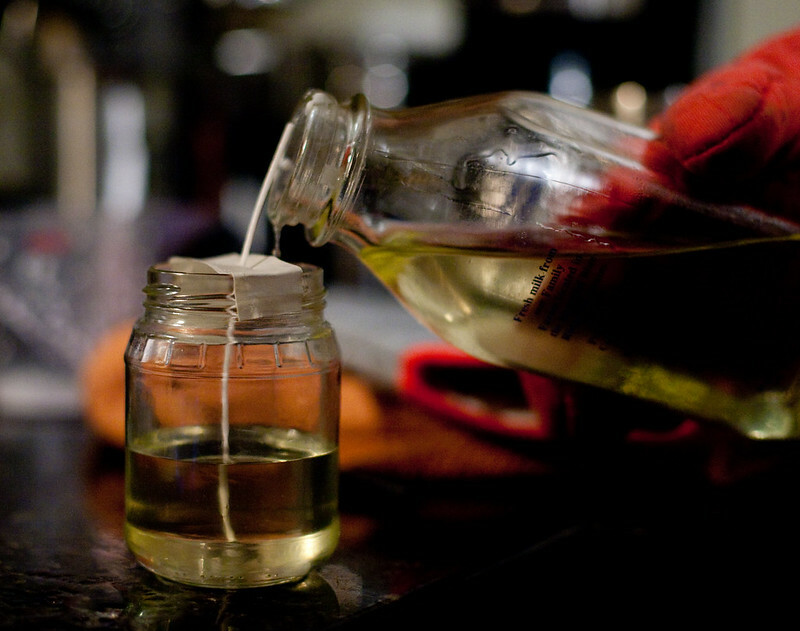 Once we added the oils, we gave the candle wax a quick mix with a wooden spoon. Then, we gently poured the wax into the jars. We set up the finished candles on a window ledge with the window open to allow the wax to cool. The instructions say to wait 24 hours to burn the candles. 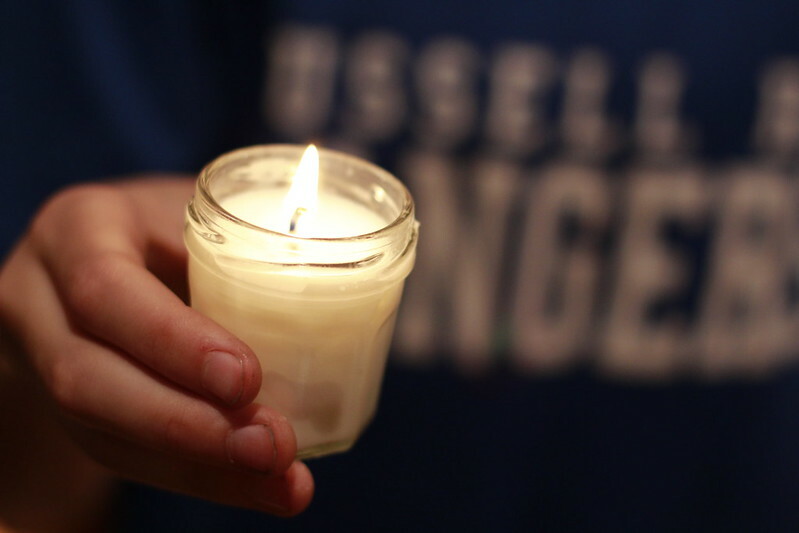 The candles turned out really nice! My kids especially like the tiny cinnamon scented one I made for them. 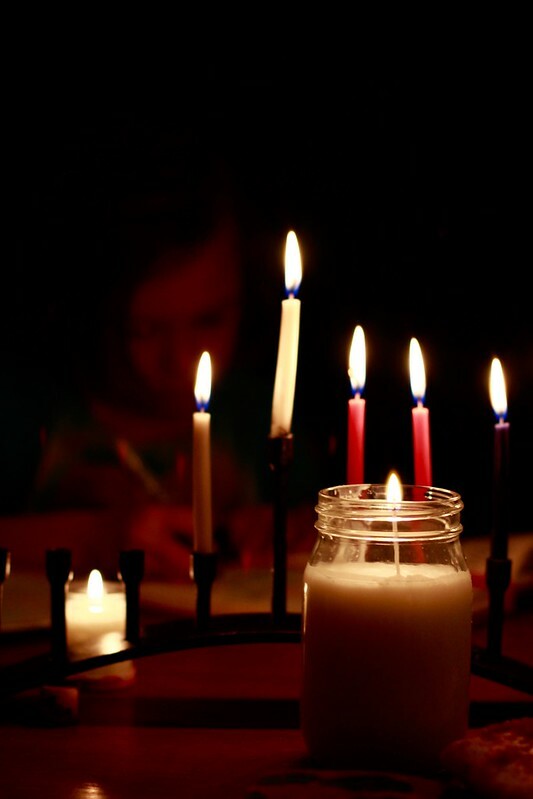 The simplicity of the mason jar candle looked lovely with our menorah. Next time, I would include labels for the scents. 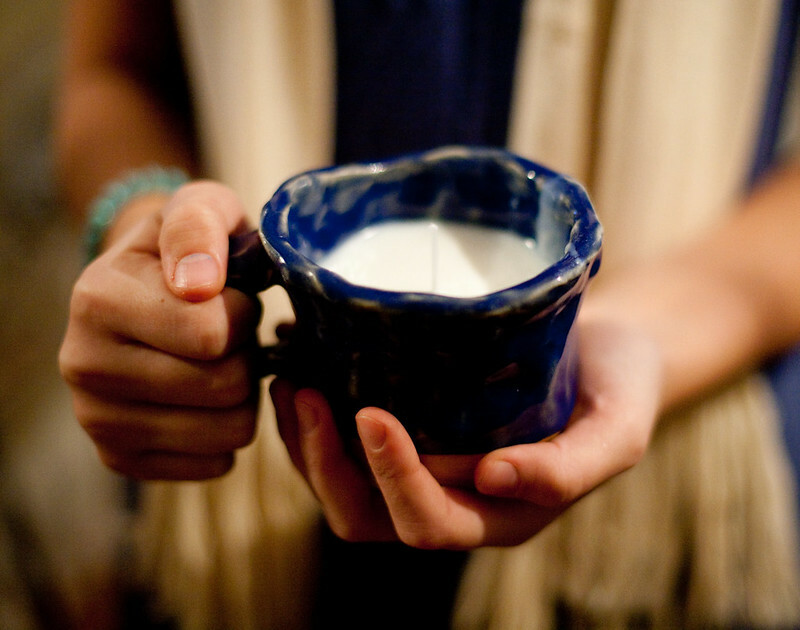 I think it would look lovely to label each candle with its essential oil scent. In all, with the instructions close at hand, it was an easy project for newbies to try out and not very expensive apart from the essential oils. We are looking forward to making pillar candles with beeswax in our next crafting adventure. Sign up to get posts via email. DIY Del Ray is about enjoying your home, your family and your neighborhood. Follow along as we talk about interior design, unique storage solutions, living with kids, home improvement and craft projects, entertaining and more. Copyright © 2017 DIY Del Ray. Please do not take text or images without permission.